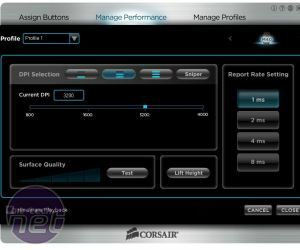 Along with the Raptor M30, Corsair's new Raptor M40 comes as a result of the company's acquisition of German peripherals specialist Raptor Gaming. 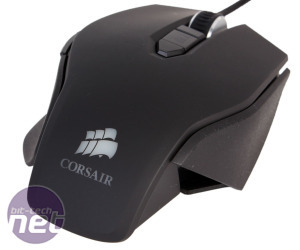 It actually boasts a traditional Corsair design, however, that's in line with its Vengeance M65 mouse, but is the cheaper of the two at £45. Its black and red colour scheme matches it well to the Vengeance K70 keyboard, and it features seven buttons that are programmable through Corsair's downloadable software. The cutaway rear end of the right-handed M40 is its most striking aspect. 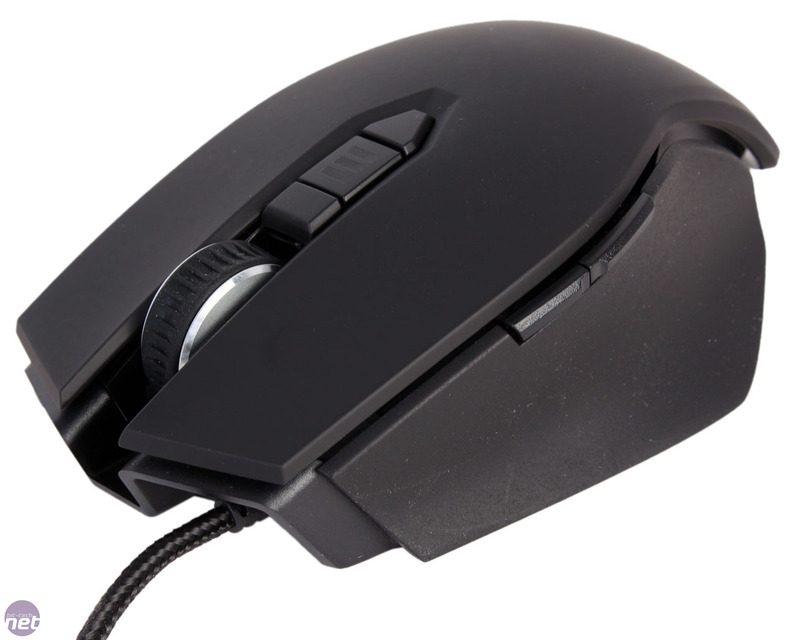 It's a design choice that makes it better suited to the claw grip, as using a palm grip we found there to be a lack of hand support compared to fuller bodied mice, and your palm also ends up resting a little uncomfortably on the split between the top and thumb areas. The main section is coated in a lovely soft touch and very scratch resistant plastic, while the two sides have a much rougher, textured feel. The difference is jarring at first, but it makes a lot of sense to have lots of grip along these sides on a body that favours a claw play style. Flipping the mouse over reveals the starting point of the 1.8m braided USB cable, as well as five Teflon feet that help maintain low friction movements. The three 1.5g screws each hold a 4g weight in place, and you can remove both of these, or just the 4g weight, from each position, so you're sure to find a combination that works for you. 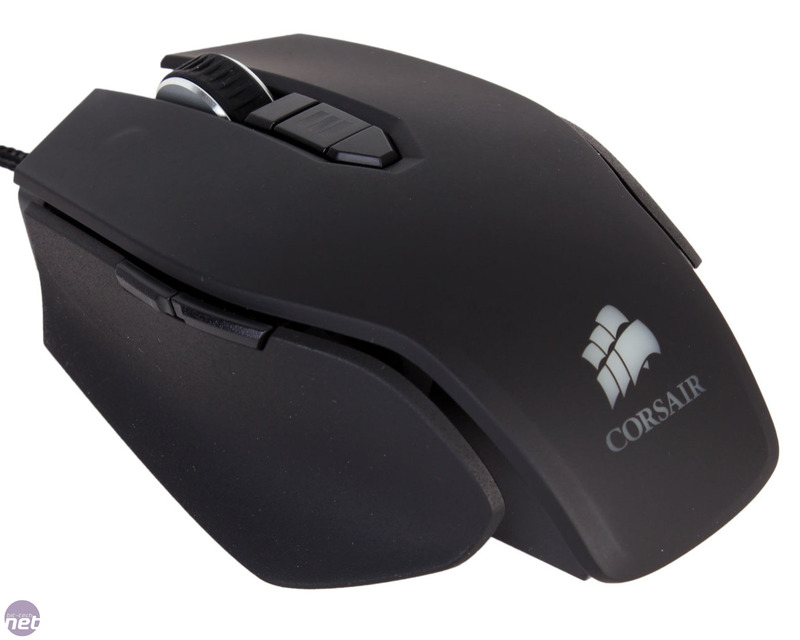 The mouse is rather light at its lowest possible weight [all the better! - Ed. ], but the build quality is still great. The two main buttons are light and springy but not so much that we ever accidentally pressed them. 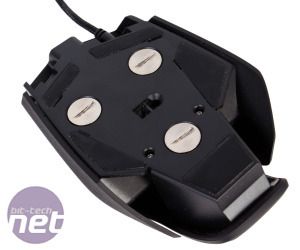 The thumb and DPI buttons are sensibly placed, although again slightly more so for claw grip users, especially the thumb ones which are thin and high up the body. The DPI indicator is less well positioned, as your index finger will make it difficult to actually see. Unlike the Vengeance M65, there's no dedicated sniper button to temporarily lower the sensitivity, but you can set one of the seven buttons to this function in the software. 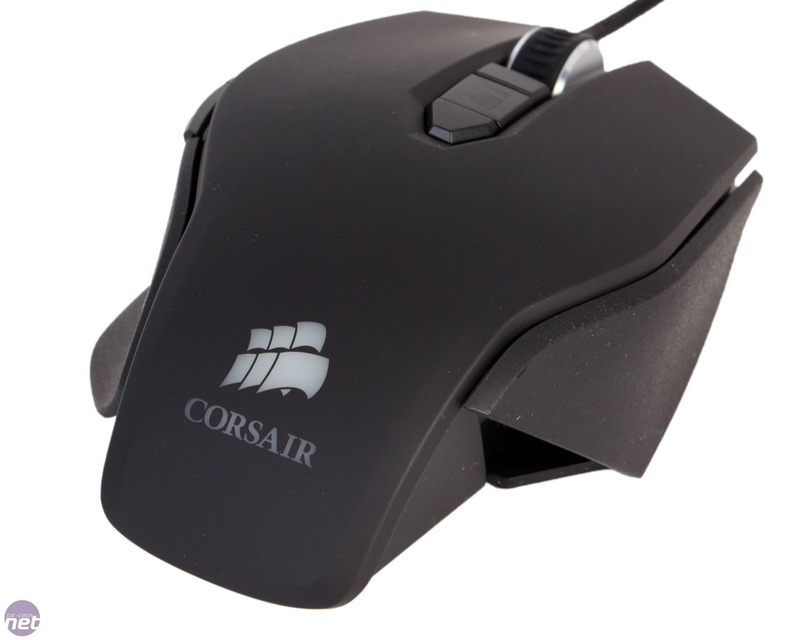 The scroll wheel itself is nice and solid as well as having a pleasant rubberised surface. Feedback between scrolls is good, but not the best we've encountered, and the wheel also feels slightly loose in its socket and movements, so there's room for improvement here. The Avago ADNS-3090 sensor is a 4,000dpi optical one. While we imagine this will be enough for the vast majority of people, it does mean it won't reach the sensitivity levels of certain laser based mice. Nevertheless, we found tracking with the Raptor M40 to be smooth and precise during our time with it. 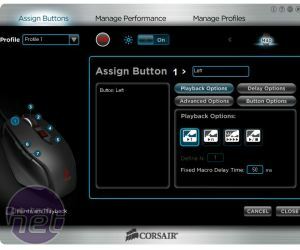 The aptly named Corsair Gaming Software can be downloaded from Corsair's website. Its design is basic (not always a bad thing) and it can be a little clunky when changing settings but it's easy to navigate. You can assign Windows commands like copy, paste and lock PC to each of the seven buttons as well as the standard array of mouse functions. The macro editor is powerful, allowing you to record and edit delays as well as alter how the macro plays back. Macros are saved straight to the selected button, however, so you'll need to manually export them if you want the same ones available across profiles. 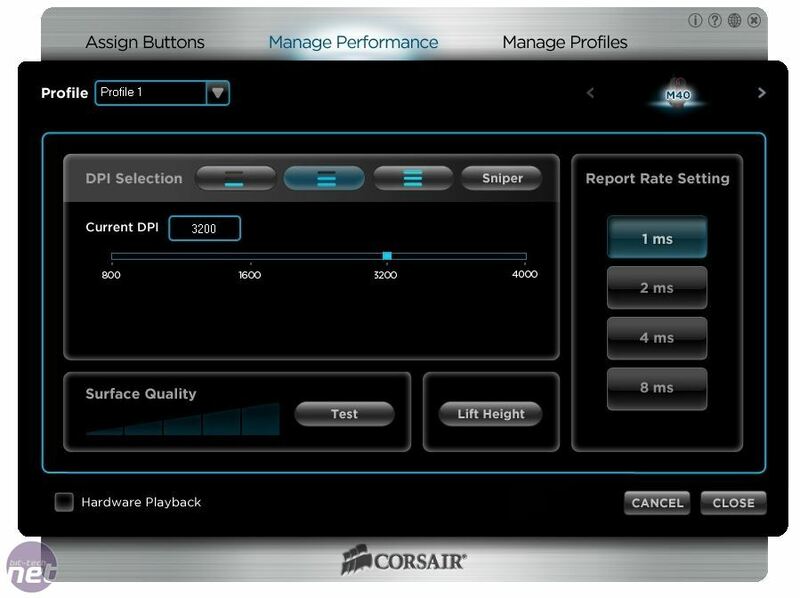 The Performance tab has four DPI levels to choose from, as well as an LED togggle, USB polling rate levels, lift height adjustment and a basic surface quality test. 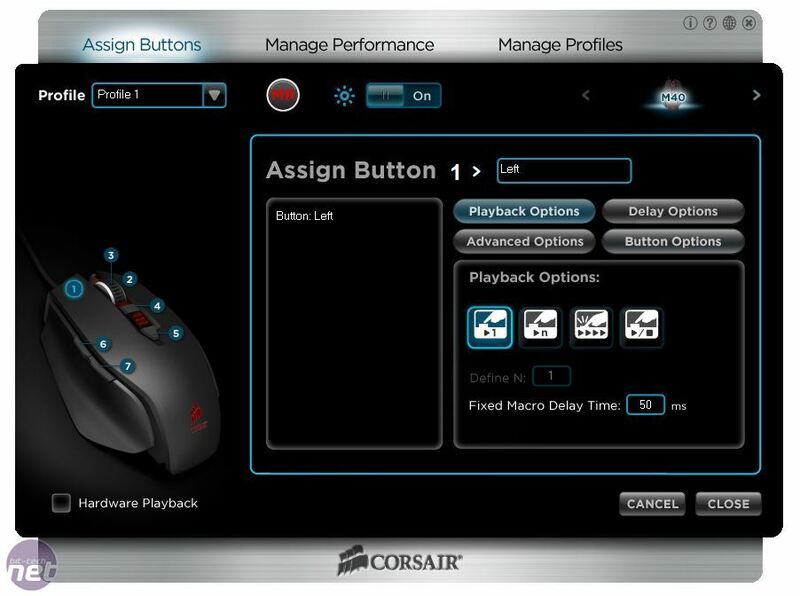 Under the Profile tab, you're able to create and edit your mouse profiles, which you can tie to specific applications so that they automatically load into the Windows keyboard buffer when the right application is opened or brought into focus. There's a 50 profile limit for this, but if you enable hardware playback such that your profile is saved directly to the mouse, you're limited to one but have the advantage of improved game and software compatibility. The Raptor M40 is a decent mouse for its price, although it's not for everyone (what mouse is?). 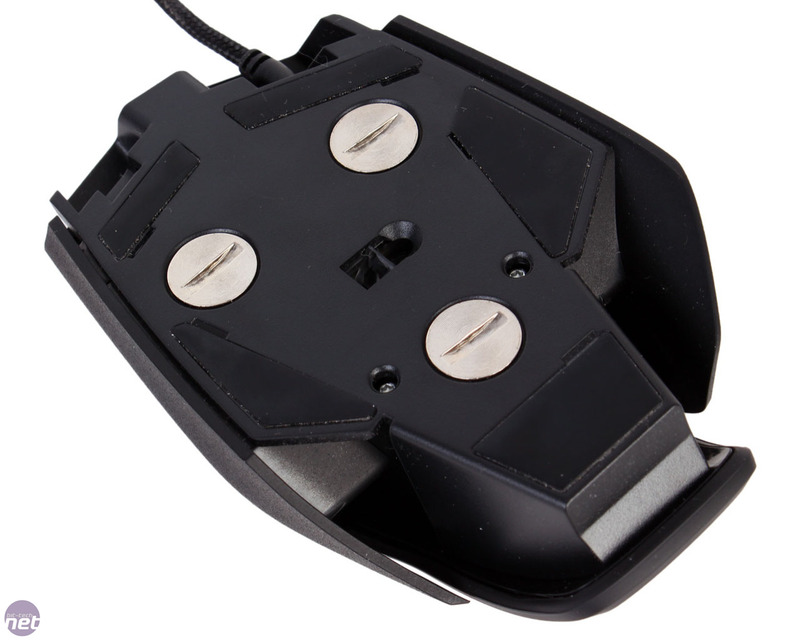 For claw grippers and users with smaller hands who lean towards FPS games, it has plenty going for it. The scroll wheel could be better but otherwise it's well built and there's enough physical and software customisations to keep most happy. 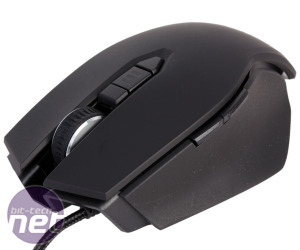 If you can find it available, Epic Gear's Meduza is a great price point contender and well worth considering, especially for palm grip users, while Corsair's own Vengeance M65 adds a sniper button and higher dpi laser sensor for about a tenner more. 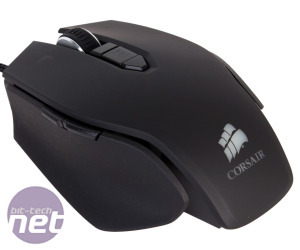 The Corsair Raptor M45 is a versatile gaming mouse but its optical sensor does limit it. We take a look at the RGB-backlit Raptor K50, Corsair's non-mechanical version of the Vengeance K95.